Agile software development practices and product management borrow a number of concepts from the domain of traditional product design and manufacturing engineering, for example, lean development, Kanban and more. However, it is quite common for organisations who implement agile methodologies, like Scrum, to hold the illusion that these would act as the silver bullet to resolve all the weaknesses in their software development and management practices. The reality is, this is far from being the case! To be able to conceive and foster great software products, the way they are engineered ought to be based on the kinds of theoretical and practical underpinnings that are inherent of traditional branches of engineering. This way, the sufficient level of rigour can be achieved to permit the evolution of well-rounded and well-engineered software products that deliver value to stakeholders and customers. This is where product design management can be leveraged to revitalise and complement agile software development practices. Product design management may be seen as an enterprise philosophy and a multi-disciplinary management framework that fosters the embodiment, the deployment and gradual improvement of the products that the enterprise develops, grows and retires over time. Aspiring to proper product design management in the world of agile software development demands not only the right mindset as individuals, but also the use of suitable tools as well as the skills to apply a range of appropriate techniques. 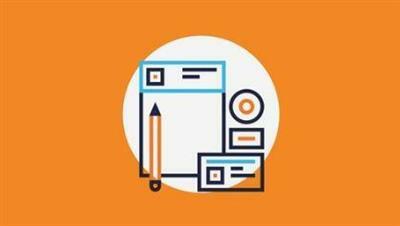 This course will shed light on a set of important and practical product design management tools and techniques to support strategic and tactical agile product management. The course is chiefly targeted at agile practitioners, for example, product managers, product owners, business analysts, agile project managers, etc. The course may also be taken if you have an interest in applied product design management, provided you have had some prior basic exposure to agile software development or have worked within an agile business. It is worth noting that this is NOT a course in agile methodologies and, therefore, it is not intended to cover topics like the agile manifesto, Scrum, Kanban, user story mapping, velocity charts, etc.